I imagine, somewhere out there, there are novel writers who write religiously, every day. Every morning they sit down, turn on the computer and carry on where they left off the previous day. Their word count steadily goes up, up, up. They get into the groove and they never get out of it. They are well-honed, industrious, disciplined writing machines. 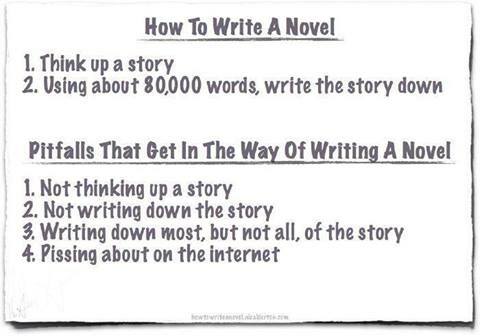 I am not one of those novel writers. I struggle to write every day, let alone every other day. I have so much other stuff going on – family, study (I’m studying to be a freelance editor and proof reader), part-time job – I just don’t know how I would carve out the time. And here’s the thing I imagine other writers struggle with too: How do I fit in reading? I have so many books piling up on my bedside table, on my Kindle and on the wait-list at my library that it’s getting ridiculous. Should I write or should I read? is a regular dilemma. Every article or textbook or book on writing I’ve ever encountered has told me that in order to write, I must read, read, read. That’s fine, I regularly shout at my Kindle / book / computer screen, but when exactly am I going to find the time to write, in between all this reading (and vice versa)? So, my problem is working out how to juggle it all. I just can’t seem to find a balance, and at the end of each week I feel a vague sense of dissatisfaction as I tally up everything I haven’t achieved, or only half-achieved. Aaaaargh! It felt like an anally retentive straitjacket (now there’s an interesting image). There was no way I wanted to live my life like that. When I do sit down to write, it is a rare thing to find myself in that sweet space that only complete solitude can afford: total oblivion to everything but the words on the page. As I type this post on a sunny Saturday afternoon my daughter is dancing around me, asking me question after question about fairies and generally driving me nuts. This is (sometimes) the life of the writing mother. I am sure there are some who would say I’m not dedicated enough / passionate enough / committed enough. This may well be true. Maybe I’m not cut out to be a fulltime writer. I suspect I could be, if I really tried. But as I said in an earlier post, I don’t want writing to be my life. I want life to be my life, and within that I want to write, for the sheer love of it. Besides, there’s also that little thing called ‘a steady income’. Know the one? 1. I may be confused about some things, but one thing I do know is that I want to finish this blinking novel I’m working on. As a polished final draft is not going to drop out of the sky any time soon, I do need to make a bit more of an effort to get my bum away from Benedict (ooooo that sounds rude) and in front of my computer. Even if I aim to write 200 words every other day. That’s do-able. Even I can achieve that. I think I need to strike the middle road between concentration camp-like scheduling and the free-and-easy, flower child mindset that drawls, “piss about doing whatever your heart tells you, man”. The middle road. I’m going to try to take it. 2. If I don’t work on my novel for a few days and then try to come back to it, I lose vital momentum, and I have to work that much harder to regain it. It’s like missing the gym for a month, then expecting to whoop and holler my way through that zumba class with next-to-no effort. In order to ‘stay in the zone’; to help ensure that writing gets easier and easier instead of harder and harder, I need to write as often as possible. Preferably every day. I have absolutely no idea what I’m taking about, by the way, having never done a zumba class in my life. It’s true, what they say. Those authors who urge you write every day (or on a regular basis, at least), and to keep writing, and to write, write, write are not self-righteous arseholes pompously issuing unrealistic directives. They are right. They know what they’re talking about. 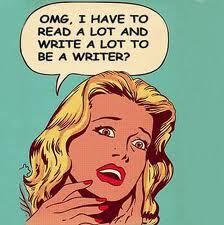 That’s why their novels are finished and mine isn’t (yet). If I want to finish my novel, I’m going to have stop making excuses. I’m going to have to run like hell and chase down that momentum I had when I first began, flushed and eager with excitement. Put another way, I’m going to have to knuckle down if I want to get over this hump. And no, I’m not talking about Sherlock.